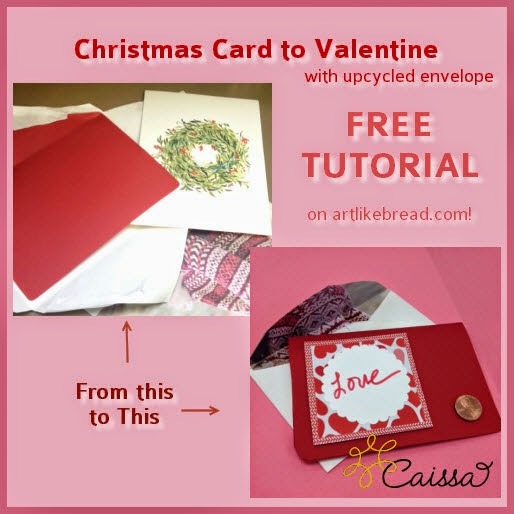 Art, Like Bread: How to Turn a Christmas Card into a Valentine! How to Turn a Christmas Card into a Valentine! I got a large and beautiful Christmas card in the mail from a business I barely know! The paper was so nice and the envelope was lined with beautiful red paper. I instantly wanted to transform it into something else, and a valentine is what it became! Sharing is Caring! Pin me, baby! For complete step by step instructions, click on! 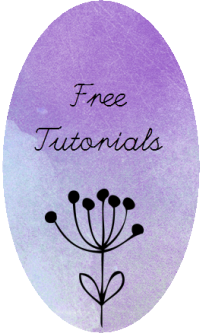 This tutorial is divided into three sections - making the card, embellishing the card, and making the envelope. I did it this way because everyone's going to start with a different card that has different features. Use whichever section(s) appeal to you! To make the card from envelope lining, you need to carefully take apart the envelope and cut the envelope lining off. If your envelope has no liner, you could choose the part of actual the card that is the blankest, cut it off, and fold that in half for your card base. You can choose to round the corners like I did. Carefully fold the card over, and you've got your basic card base! You can use it this way, but I chose to add a matte on the inside for the message. To make this, I measured the card base and cut the matte in order to leave a border around the sides. I rounded the corners of the matte, too! Now the card base is done. Onward to decorate the front! The front of my card ended up looking like this! Layer a medium punched scallop on a scrap of this pretty heart background which prints out beautifully. Glue it down! You can download the file for free here. (link to 4 Vector Website-January 2015) Trim around the corners with scissors to make a square shape. Next layer your square onto the corner of a coordinating paper. Glue it down and then trim around the corner with scissors to make a square shape. If you have a rubber stamp, you could stamp a greeting or image in the middle of your matte, but I decided to go with handwriting. I suggest practicing your handwriting using different markers to see which would look the best! After adding your message, adhere your matte to the left side of the card with foam tape. Add a shiny penny to bottom, right side of the card with foam tape. Now you've made the "Lucky in Love" card. Onward to make the matching lined envelope! In order to make the envelope, first carefully take apart the existing envelope. The outside of the existing envelope will become the inside of the new envelope. Place the card into the middle of the envelope. You will probably need to size down the envelope. Using a ruler, trace pencil lines horizontally and vertically. When making these lines, leave a *teeny* bit of space between the card and the line on each side. This will allow you to insert the card when you're done! Using the pencil lines as guides, cut the indicated areas. You will cut out four inverted corners. 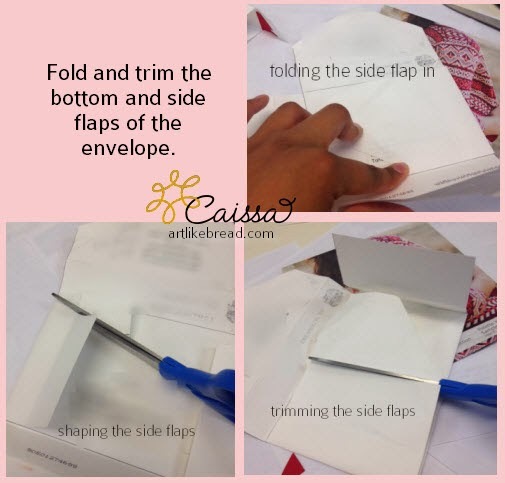 Using an existing envelope as a guide, trim the top flap of the envelope so that it will fold down to about the middle of the envelope. Using an existing envelope as a guide, trim the side flaps of the envelope so that they will fold in down to a little bit past where the bottom flap lies when folded up. Fold all of the other flaps behind the envelope. Place the envelope base with top flap on a tearsheet from a magazine. Trace it, and cut out the envelope liner. Glue the tearsheet to the inside of the envelope and top flap. You have just made the envelope liner. Trim any excess tearsheet paper. 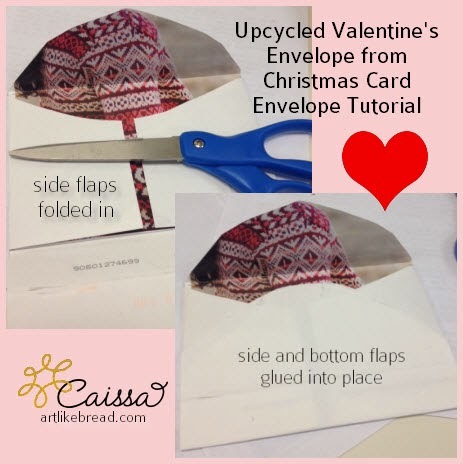 Using an existing envelope as a guide, trim the bottom flap of the envelope so that it will fold up to about the middle of the envelope and overlap the top flap. Your envelope is now done! Onward to send the valentine to someone you love! 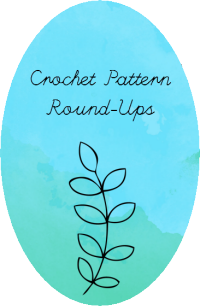 I would love to see any projects you make using these techniques. If you have any questions about how to complete any of the steps, please let me know in the comments. Feel free to share this project but please link back!